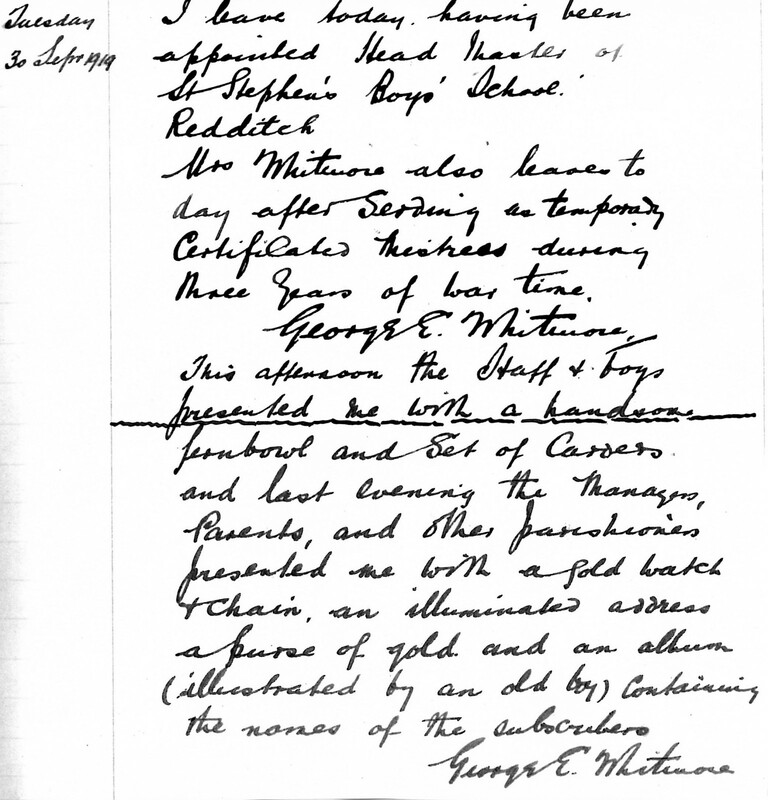 George Whitmore was appointed headmaster of the Boys’ School following the sudden departure of Alfred Spiers in 1907. He recorded the highest number of pupils - 228 - in 1909. There was not enough space for this number and eventually in 1912 he had to choose about 20 pupils who were to be excluded. 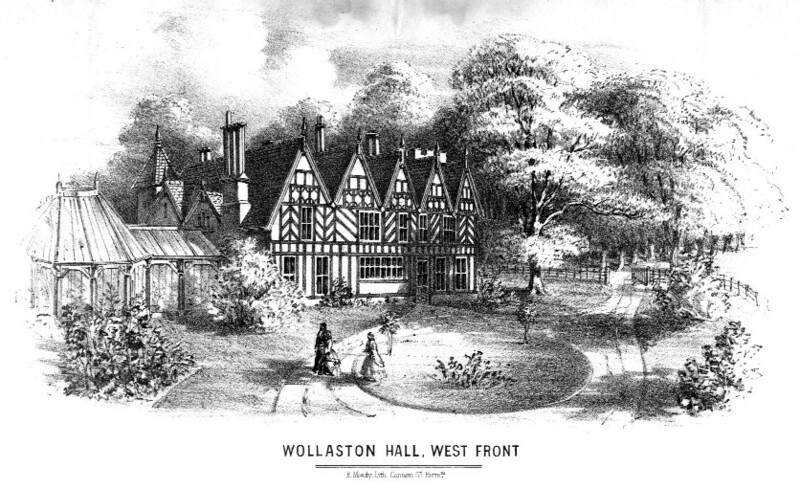 Those chosen were some of the boys who did not live in Wollaston. The war years proved difficult as many members of the staff served in the forces and for a time his wife and daughter both taught the younger boys. In 1919 he left Wollaston to take up a headship at a school in Redditch and the entry above, dated 30th September, was his last in the log-book. Previous: A book mark presented to all pupils in 1980.